New collection! 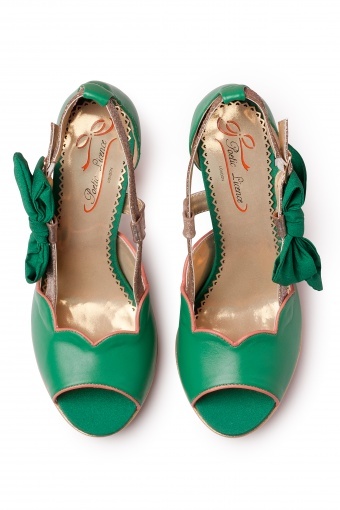 A Preppy Lady pumps from Poetic Licence. 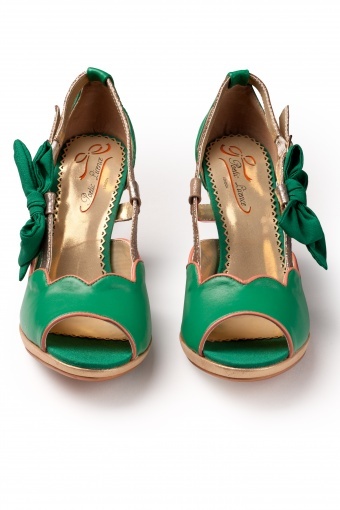 Adorable heels in playful thirties style! Scaloped green leather vamp with orange pipings nad gold accents. 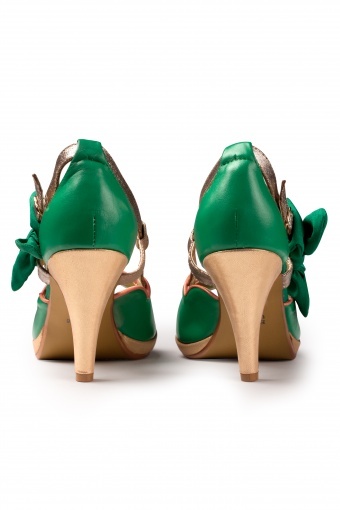 Adjustable straps with a cute fabric bow. On the inside leather too.